Start-up (first week): Take 2 - 4 tablets per day. Maintenance: Take 6 tablets per day. Optimum supplementation: Take up to 18 tablets daily or as advised. 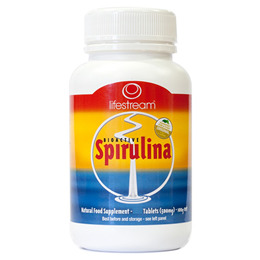 Below are reviews of Lifestream Bioactive Spirulina - 100 x 500mg Tablets by bodykind customers. If you have tried this product we'd love to hear what you think so please leave a review.